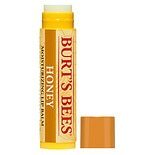 Shop Burt's Bees Lip Balm Honey (.15 oz. ).15 oz. $399$3 and 99 cents$26.60 / oz. 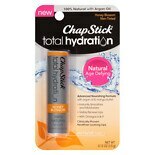 Shop ChapStick Total Hydration Lip Balm Honey Blossom (.12 oz. ).12 oz. 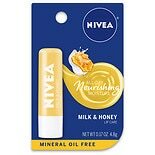 Shop Nivea Lip Care A Kiss of Milk & Honey Soothing Lip Care (.17 oz. ).17 oz. $339$3 and 39 cents$19.94 / oz. 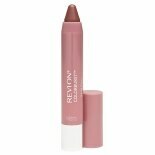 Shop Revlon ColorBurst Balm Stain Honey (.09 oz. ).09 oz.